Hudson's Bay has a new Burberry Free gift with purchase! 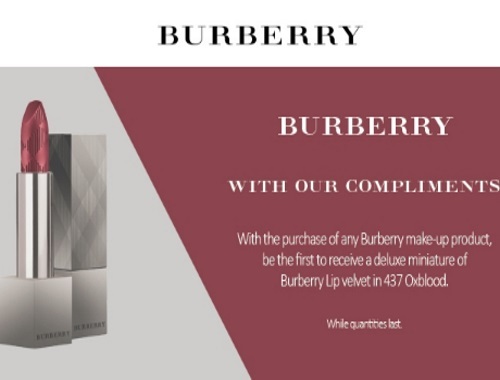 Get a Free Burberry Lip Velvet in the shade 437 Oxblood with any Burberry makeup product purchase! Offer is valid for a limited time. The free gift will be added to your cart at checkout.